Just one year ago dozens of medical marijuana patients lined up outside a Montgomery County dispensary to make the first legal pot purchases in Maryland. This past Saturday marked the official one-year anniversary of those historic medical cannabis sales, and business is now booming for the industry. The Maryland Medical Cannabis Commission or MMCC originally estimated first year sales to total $46 million, but now it looks like their prediction was off by a wide margin. After posting modest revenue of $1.8 million in the launch month last year, revenues then increased dramatically each month thereafter. January produced $2.6 million in revenue, February jumped to $3.8 million, and March to $5.5 million. This August and September both produced total revenues over $10 million and the numbers continue to climb. At this point it is a not so conservative estimate that sales for 2018 will top $100 million, more than twice the number thrown out by the MMCC. The revenue prediction from the MMCC was hardly a guess and likely based on data such as polling of potential patients and comparing revenues from other states. Though regardless of their scientific approach it’s easy to see how the state drastically underestimated the power of its own program. Most people just don’t want to talk about their marijuana use to those outside their close circle of friends, and they especially don’t want to discuss it with the government. Unfair as it is, there is still a major negative stigma attached to marijuana that alcohol has managed to avoid. In America it’s still perfectly acceptable to have a few beers after work, but take a puff or two and all the sudden you are a drug user. 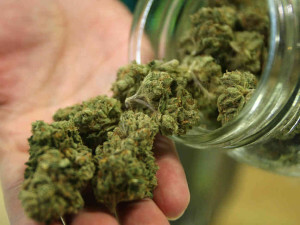 Numerous private companies and government agencies have drug polices that prohibit marijuana use, and a soldier can easily be kicked out of the military for casual consumption. While half the states have legalized medical cannabis, the professional world hasn’t caught up, thus it’s still not completely acceptable to use this natural product with medicinal value. Patients and social users still have much to lose by talking freely about their use. Other reasons for the staggering revenue reports have to do with geography, as Maryland is surrounded by states to the south that have not yet fully embraced the medicinal value of cannabis, and will likely be some of the last to allow legal use. Virginia and North Carolina technically have medical marijuana programs, but access is more difficult and may be limited to CBD and low THC products. Maryland allows out of state residents to obtain a license and make purchases, and the process is not difficult or expensive. In addition to physicians, nurse practitioners, dentists and other professionals have the authority to prescribe medical cannabis and many do not require lengthy and comprehensive evaluations. The state has made it quite simple to obtain approval to purchase. Right now hitting $100 million in yearly marijuana sales seems like a massive figure for a small state, but this number will quickly seem minuscule as the program grows and eventually allows recreational sales (likely in 2020). Colorado is doing a $1.5 billion per year in total sales and raking in $250 million per year in tax revenue. California sales are close to $3 billion and smaller states like Oregon and Washington are at or close to $1 billion in sales. Government agencies in budding marijuana markets continue to underestimate the popularity of pot, but the numbers support the premise that the majority wants it to be legal. The Blog will continue to follow the cannabis industry here in Maryland, as we have done for the last 5 years. If you have a legal question about marijuana use such as how it might affect probation your ability to purchase a firearm feel free to call Benjamin Herbst anytime at 410-207-2598. 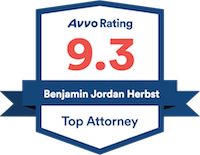 Benjamin is a criminal defense attorney that specializes in drug and gun cases in state and federal court and offers free consultations to anyone in need. Medical Marijuana Sales In Maryland Set To Hit $100 Million In First Year, Exceeding Forecasts, wamu.org.